Tuesday morning, I went out to the squirrel feeder, AKA fig tree, to discover that the next, almost--ripe fig has been chewed into. Rats! Another chance at the goodness of ripe figs gone to those pesky squirrels! And time is running out for any figs to ripen with cold nights just around the corner. This scenario plays out year after year. We've only tasted a handful of our own ripe figs, since we planted these two fig trees. Evidently, there's not much else for squirrels to eat, at this time of year. So, earlier this week, I took a bucket with me, and picked as many unripe figs as I could reach. (I feel badly for the hungry squirrels, but we have to eat too!) Ripe figs are squishy, still on the tree. The unripe ones are firm. 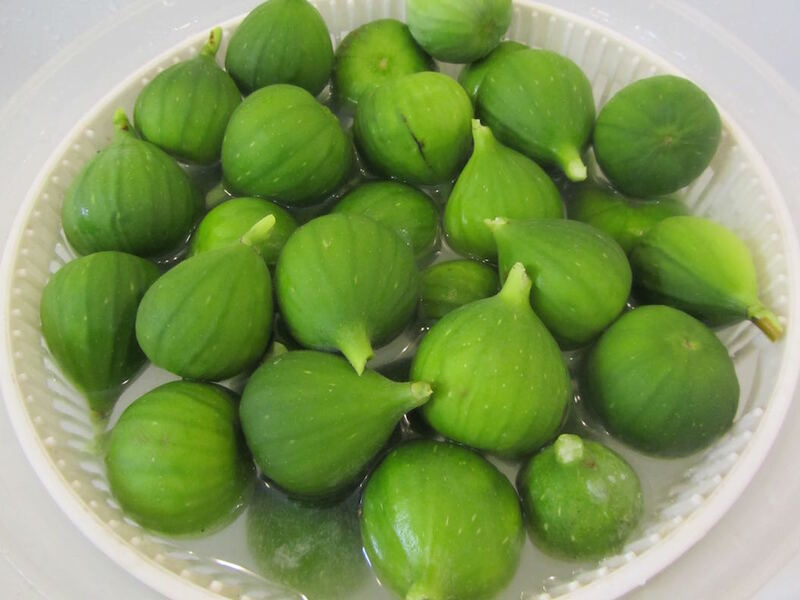 To pick an unripe fig, you have to twist the stem, until it breaks, being careful not to get the oozing sap on your skin (it's a skin irritant). When I brought the full bucket of green figs into the house, I filled it with water and allowed for a 20-minute soak to release the oozing sap, while I rounded up jars and spices. 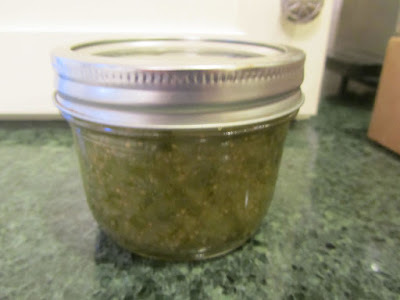 Spiced fig jam makes a nice gift, because it's so unusual for this area, so I look for cute, small jars for the gifting. You can use ground spices in this jam, but it's less muddy looking if you use whole spices. So I retrieved my cheesecloth, spice-infusing bag, some cinnamon sticks and whole cloves. I used a whole lemon last year, for the zest. This year, I just have bottled lemon juice. It would be beautiful with long strips of lemon peel in the jar. Another year. It's more important to me to just get this done, than to have the lemon peel in the jars. After the whole figs have sat in water. I drain off that water. I trim the stem end of each fig, and pierce the bottom end (allowing the sap to ooze out), and place these in a stainless pot, as I go. Then cover completely with water. I bring them to a boil, and simmer for 15 minutes. Unripe figs need 2 to 3 simmering sessions, in fresh water each time. So, I drain in a colander, giving the figs and the pot a quick rinse. Then I fill the pot (with figs in it) again with water. Bring to a boil (poke them down from time to time, as they're buoyant), and simmer, drain and repeat one more time (for 3 simmerings, total). Drain. Figs change from bright green to an olive green, with the cooking process. Fine-chop the cooked, drained figs. In a medium stainless or enameled saucepan, place fine-chopped figs, water, sugar and lemon juice. Stir together. Add spices. Over lowest heat, simmer for 1 hour, stirring often. When done, the jam should have some translucency. **Because I like a little extra spice, I add 4 pinches of ground cloves towards the end of the cooking. It gives the jam a rich, earthy, savory flavor. That's up to you. Taste towards the end of cooking, to see if you'd like any extra spice. This is supposed to be a thick jam. It will stand up in mounds on a saucer. If you'd like a more "syrup-y" jam, thin with equal parts water and sugar and simmer an 10 additional minutes. Remove whole spices. Spoon into sterilized jars. Process for 10 minutes in a hot water bath. My yield, beginning with 1 quart of fine-chopped, cooked figs is about 5 to 6 pints (correction 5 to 6 1/2-pints -- I was typing this late at night). This spiced fig jam is delicious paired with a mild and soft cheese, spread on crackers. It's especially good with Brie, but for my budget, we also use this with cream cheese. 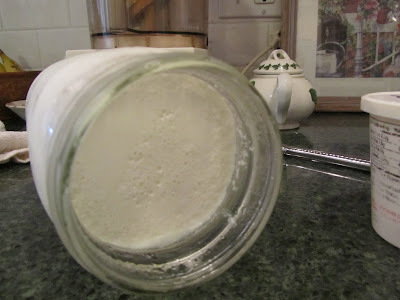 I spoon several tablespoons onto a block of cream cheese, to spread on plain crackers. Just to let you know -- I store my jars of jam in a spare refrigerator. I have no idea how long this will keep on a shelf in the pantry. When I decided to do something with our unripe figs, a couple of years ago, I had no recipes to go by for this jam. I had to take what little knowledge of working with figs, and making jam, and begin experimenting. 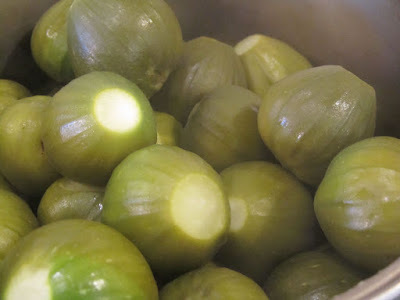 I based my recipe on those for whole, unripe fig preserves. I feel fortunate that I live in a time when I can find information at the touch of my finger, with the internet. Other, more pioneering women, had only their intuition to go by, in these circumstances. So, a recipe for unripe fig jam. How does that help you? It doesn't. (Unless, you also happen to have a fig tree in your backyard.) However, we all have things come to us, which we have no idea how to handle, cook, repair or use. We could discard these. That would make life simpler. But the process of doing, creating, and improvising, forges pathways in our minds, propelling us onto new horizons and handling new challenges. And that's what makes the human experience extraordinary, in my opinion. After all, as humans, we would never make any progress, if we didn't try something new. I love recipes that use unexpected ingredients and put to good purpose things that might otherwise be thrown away. Sadly, we don't have a fig tree, although it would probably do very well here. I think that the recipe would be acidic enough with the lemon juice and fruit to be shelf stable for quite some time if you processed it in a water bath. You can get pH strips to test the acid levels; if I am making up a jam or jelly recipe I check the University of Georgia's website -- they have some master recipes that can be manipulated (or, that I manipulate) to suit the fruit that you have on hand. Thank you for that information about checking the U of G website! I will do that the next time this situation occurs for me. You're probably right on its keeping-quality with the lemon juice and all that sugar. I do have half a small jar left in the fridge, from last year, and it still seems to be good. Thanks for the suggestion for next time! We have trouble with squirrels too. They will eat our slightly unripe peaches, and they will eat our apples in the fall. We honestly find it's cheaper to feed the squirrels. I can get a 12 lb bag of ears of corn on sale for around $3.00 at farm supply stores. We have the type of squirrel feeder that holds one ear of corn. It worked for us to put the squirrel feeder on the fence on the back of our property, because our orchard is on the side and more to the front. Eating the corn off the cob really seems to entertain and occupy the squirrels. We only put corn on the feeder when the peaches are starting to ripen (if we have peaches that year, or when the apples are starting to ripen. Then we feed them over the winter until they have things to eat again in the spring. One bag of corn will usually last us a little more than a year. That would depend on how many hungry squirrels one has though. As you have a peach tree -- when I was looking for ideas and possibilities, I do remember coming across a recipe for spiced peach jam, that would be a little similar to this. Oh those pesky squirrels! They get into everything! This has been a particularly bad year for the squirrels, here. I think the population of squirrels has increased. I like your idea to put up "better" food for them, away from where your trees are. That could work for us, as well. But would need to be out there from the beginning of strawberry season to the end of fig season. I bet the squirrels enjoy the corn more than ripening fruit, too. I'll check around the feed stores in the farm area near us. Thank you for that suggestion! Oh, spiced peach jam! Sounds yummy. I'll look that up. Thanks for the suggestion! Doesn't it, though?! I can just imagine the flavor. Wishing we could grow peaches in our yard, now! I really like your last paragraph, Lili. Being creative with what is presented to me is one thing that gives my life a special kind of joy. While it would be easier to "get rid" of things that challenge me in how I might use them, I find it very fulfilling to figure out how to use a food, clothing, or household item that has been passed on to me to make it work for my situation. 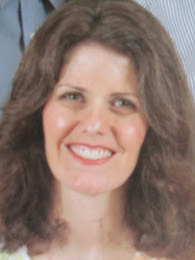 I remember Amy Dacyczyn saying not to turn down things that people offer you or they might stop offering them, so I happily receive items (mainly from extended family members) and see what I can do with them for my family. In the case of food items, I always find a way to use them to suit my family's taste. With other items, if I can't find a creative use for them, I do pass them on. I wholeheartedly agree! Being creative fills my life with joy. We accept just about anything offered to us, as well. Sometimes, we pass it on, and hope the next person can use it. Often times, I think accepting the items makes the offerer feel better -- wanting to help others in any way they can. And I can really appreciate the love that they show to us, by offering something. Such a great blog post and a good reminder to use what comes our way. Your fig jam looks so pretty in the jar. I'd say it would be delicious with the cream cheese on a cracker. My sister serves hot pepper jelly on cream cheese and crackers. It's so delicious. Oh yum! Pepper jelly is good paired with cream cheese, too! It has that surprising taste of heat when you first bite into it. Very tasty! I don't have much experience with figs, so I did a little reading. It sounds like the official line is that figs don't ripen once they are picked, but several people have had success ripening them on the counter in a zip lock bag. What's been your experience trying to ripen a fig once it is picked? what I've discovered is that the figs will soften, but not develop more sugars or coloration inside. I don't put mine in a bag, but just on the counter. I don't have any idea if that influences sugar development. I have 4 on the counter right now, that I'll use in a fruit cup tonight. These four felt just a bit too soft for the jam the other day, so I kept them out. I've been surprised that figs can grow here, and some years develop ripe fruits. I can only imagine what they must be like in warm climates. Is there a way to discourage squirrels by wrapping plastic bird spikes around the trunk (or gasp...barbed wire)? Too bad about losing the ripe figs, but you have done a good job rescuing the unripe ones. We only have birds that eat papayas if the fruit is left to ripen on the tree too long. Fortunately papayas ripen well after being picked. I agree wholeheartedly that being creative to save what is less desirable is so much extra work but when we succeed, it is the most wonderful, satisfying feeling. Once we start with one thing, it is easy to gain enough confidence to quickly apply our skills to other things. It wasn't too bad, it wasn't too hard...so we do it again. Frugality is more about mental and emotional development than about saving money. this is the first "bad" year with the squirrels, and the figs. So, I hadn't given it much thought until this year. Fig branches come all the way to the ground, some resting on the ground, even. Anything I would/will devise will have to be from the soil up. We do like the jam, and the whole fig preserves that I've made (our other fig tree is later in development, and I can pick those fruits next week to make the whole fruit preserves). 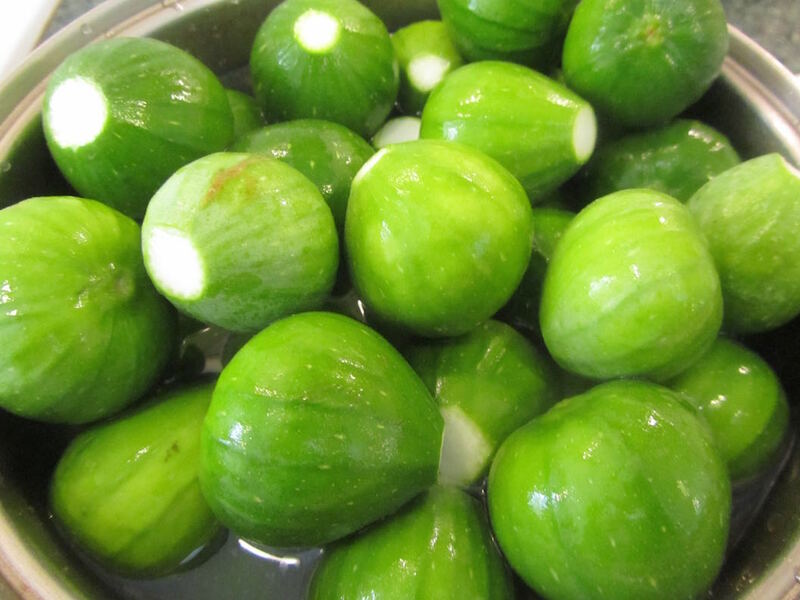 So, I don't consider it a huge loss, for now, to "have" to eat them in the unripe stage. I agree, totally. Sometimes it's more of a mental hurdle to get over, with frugality. Some extra work, but not as daunting as it first appears. And I think many of us DO have enough time in a day to do many of the things that our culture encourages us to hire out, or to skip altogether. I think about all of the clothing that goes un-repaired and fills our landfills, or the many chores that we are perfectly capable of learning how to do ourselves. And as you say, there can be so much satisfaction in mastering something. As I was told long ago, "culture is a cult." I think our culture is too materialistic. I feel as though I had to wait for my retirement to finally pursue my interests. The economy has gotten so difficult that it takes more work hours to support ourselves. Why should this be, as technologyy is bringing costs down. I have heard people say they "despise frugality" or "I don't buy used, I only buy new." I just think they haven't given ifrugality a good try. In my formative years, as a young mother I was also under the wrong impressions about being frugal. Being frugal back then meant not having a better job so you can spend accordingly or that you are poor. It seems the young people today are a lot more mature than many of their parents who may still harbor those impressions. I know most people my.age still do. And hence why the boomers are so in debt and saved so little. If they were more frugal, this wouldn't need to be....but this generation had to first embrace frugality, which they didn't. So to me, I think the mental and emotional development (anti culture, anti anti coependency) didn't happen. One of the reasons people seem to be working longer hours when we have all this great technology, is our standard of expectations has risen, dramatically. When I was little, a household had one telephone, for the entire family. Now, in our household, we have 4 cell phones and 3 landline phones, for a 5-person household. (Guess who the one person is without a cell phone). And the phones that I see in many folks' hands are smart phones, with pricey service, so they can be "connected" anytime, anywhere. We also seem to have the expectation that fabulous vacations are a necessity, on a yearly basis. Those grand vacations used to be a once-in-a-lifetime event, that couples looked forward to and planned for years, for. Myself and my family are just as guilty of all of these expectations. We see our neighbor with XYZ latest, wonderful thing, and we think, "hey, if they have an XYZ, I should too". Maybe we were all indulged too much in our childhoods. Maybe too many things came to us too easily. Maybe corporations have done a fab job in their marketing campaigns. The problem about having unrealistic expectations is that when those uber-high expectations aren't met, we find ourselves feeling very unhappy with our lives in general. We measure our self-worth based on the latest adventure and the latest purchase, instead of traditional values of honesty, hard-work, kindness and compassion. When was the last time someone said, "oh look at Bob, there, isn't he an honest guy? I want to be just like him." Also, I think, with regards to retirement planning -- we all have these grand ideas of how our retirement will be. And those ideas aren't sitting on the front porch in a rocking chair. Even those of us who have been frugal for many years will still need to be somewhat careful with our funds, so as not to be a financial burden to anyone else. About my own retirement....I sort of do....see myself not spending too much. But I'm an anomaly. Your fig jam sounds wonderful! my daughter makes a salad with pear cut in half goat cheese or cream cheese put in the little hole that seeds etc were in.put fig jam on top of cheese,drizzle with olive oil. Bake pears about 30 min. Place baked pear on bed of salad greens what ever you have. The dressing is fig jam,lemon juice and olive oil.so yummy. Oh Patti -- thank you! That's a fabulous idea and one I can do, as I have everything! My grandmother used to make a winter "salad" with canned pears, the hollow filled with balls of cream cheese and topped with chopped nuts. I don't know if your daughter does this, but when I hollow out the seed pocket in pear halves, I use a melon-baller. It takes out just the right amount of pear and is super quick. Thanks for the great idea -- a must-try for me! What a lovely (and delicious) way to make a salad special! Thanks for sharing the idea, I'm definitely going to use it. Yes, a lot like using green tomatoes! 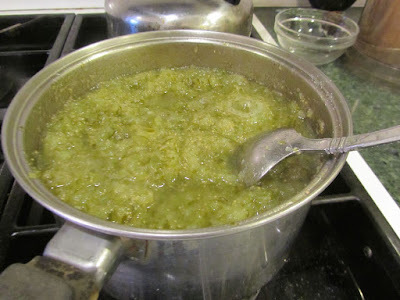 One year, I had so many green tomatoes that I didn't think would ripen, so I made a mock-mincemeat with some of them. It was quite good. And I think it would be delicious paired with cheese. It's a beautiful ruby-colored jam. Hope you enjoy it! Oh, that does look good! Thanks for the link, I appreciate it. It does look beautiful, doesn't it?! Thank you for the idea about the melon-baller . That is so smart. I just wanted to drop a line to say thank you! I am one of those people randomly searching "what the hell do I do with unripe figs", as we just arrived back to our summer job, and last summer I was mortified to waste 2 HUGE trees worth of unripe figs asI had no clue, nor time, to find out what to do with them, and most recipes were for ripe figs but I couldnt get ours to stay on the tree long enough, they just fall off and decorate the freshly raked gravel drive, or give you a concussion if you are standing under them as they fall. So, thank you, for taking the time to type this recpie out, I brought lots of jars with me this season, and will endeavour to use up the glorious fruit - as many as I have jars for anyway! I have also been gifted a jam maker! So feel very privilidged to be trying this out in it! (though I fear I may revert back to a large pan and jam thermometer as it only does a couple of litres at a time, and I have ALOT of figs! The Mulberrys aare starting to ripen to, so I feel under pressure to create! Thanks again! Great news that one can do something with all those green figs left when my husband cut the tree back! So pleased I found your recipe whilst wondering what to do with my unripe figs. Made a small batch (it's a small tree!) this afternoon and it's FABULOUS! Thanks so much for the inspiration.